Collect the ten missing pages of Saint Jiub's Opus. Speak to Jiub or start collecting pages. You may have come across a few pages floating around during your regular Soul Cairn tasks. Talk to Jiub at any time to receive the quest, and return all ten pages to him when you have them. In return, he will give you the Locket of Saint Jiub and a complete copy of Saint Jiub's Opus. xx014010 At the massive wall that divides Soul Cairn roughly in half, find the opening near its center. Staying on the entrance (staircase) side, turn right, southeast, until you reach a staircase going up into the wall. Go up the stairs and the page will be right in front of you. xx014011 To the left of the entrance to the Boneyard (where Valerica is) will be a small building with a broken Word Wall and a chest. Durnehviir may be sitting on the Word Wall. The page is right on the ground next to the chest. xx014012 Before going through the opening in the wall dividing Soul Cairn, turn left and you will immediately see a small tower. It consists of only one chamber with a chest. Exit the chamber on the other side and you will find a small building with a floating soul gem. Go up the stairs and you will find the page next to the chest on top of the building. xx014013 Stand at the entrance to the boneyard facing towards Valerica. Turn right and follow the outside of the Boneyard wall until you reach a building. Head up the stairs and turn left to go up another set of stairs to a chest. The page is next to the chest. xx014014 South of where Jiub is sitting at his campfire there is a raised stone floor with an energy well in the middle. Page five is on the floor by the well next to some assorted soul gems and other treasure. xx014015 From the entrance to the Soul Cairn, follow the path past the building where page eight is found (see below), and enter the second building on the right, a small tower with a Soul Well outside. The page is inside next to a chest in a corner. xx014016 From where you found page four, head due east to the edge of the map and up some stairs up to a platform to find the Spell Tome: Conjure Mistman on a pedestal. Page seven and a bag of coins are on the ground at the base of the pedestal. xx014017 When you first enter the Soul Cairn, go into the building on the right. It requires you to shoot a projectile (spell or arrow) through the green orbs to enter. xx014018 Head west from the entrance to the Boneyard (Valerica's location) until you hit a building with one of the massive floating soul gems above it. Take a right (towards north) to find another large soul gem floating above an even bigger building. There are several chests in this building which is a small maze, but continue until you reach the glowing symbol on the floor; a teleporting device. Stand on it to go up to the roof. The page will be next to the chest at the top of the building directly under the gem. This chest is also the one that contains the soul gem to restore you if you entered the Soul Cairn as a mortal. There are no stairs to get back down so you have to jump. xx014019 Go through the dividing wall. On your right a short way there is Morven Stroud sitting. The page is on a barrel next to him. It is not necessary for you to obtain this quest for the pages to appear; they can be gathered first before speaking to Jiub. Jiub is located in the Boneyard side of the Soul Cairn in the southeast. South-southeast of him is a tall tower with a glowing/flaming top where one of the Keepers is to be found. The ninth page may or may not appear. Try standing on top of the chest and using a scroll or spell with a large area effect like Scroll of Blizzard. This may cause the page to be knocked down to the ground floor, but it may not be directly beneath the archway. Occasionally the sixth page will not appear in its location. 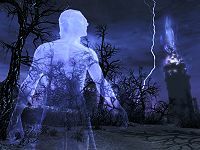 Leaving and reentering the Soul Cairn has been known to resolve this issue. 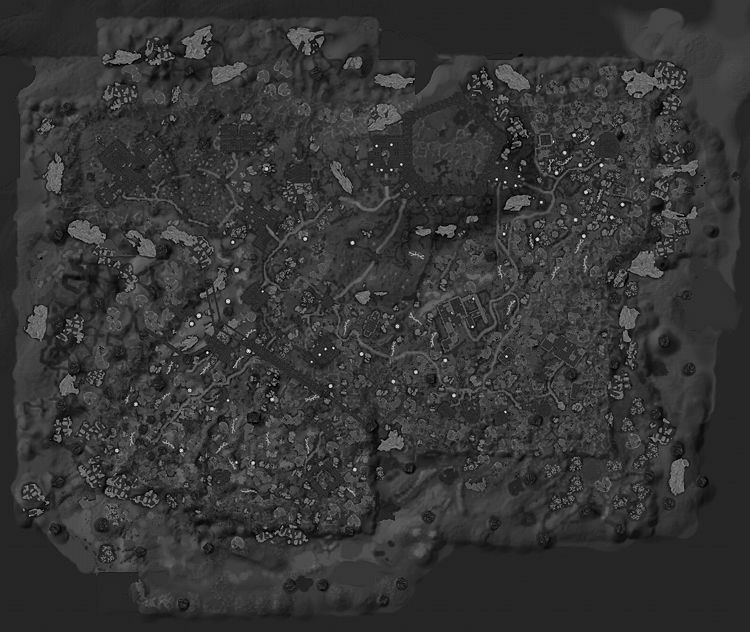 If one of the inhabitants of the Soul Cairn (Boneman, Mistman, or Wrathman) is killed near any of the pages, the ashes may collect on the page, making it unobtainable. Open the console and click on the ash pile, then use disable to remove it. Explosive spells such as a tripped ward or Firestorm will dislodge it, though multiple castings may be necessary. The page will fly off randomly, so save first in case it goes somewhere you can't find. Summoning a Boneman, Mistman, or Wrathman and killing the summon by the spot the original was killed may cause the page to reappear. If you leave the Soul Cairn without completing this quest, your game may start to crash randomly. Return to the Soul Cairn then open the console and type setstage DLC1VQSaint 200. This completes the quest and resolves the crashing issues. Even though you've collected all ten pages, some of them may not count towards the total, leaving the quest impossible to finish. ? Open the console and type set DLC1VQSaintCount to 10 or setstage DLC1VQSaint 30 to fix this issue. 20 While exploring the Soul Cairn, I've come across the soul of a strange Dunmer named Jiub. He claims to be writing the second volume of his life's story but lacks the notes from his first in order to complete it. He's asked for my help in locating the pages which are likely spread across the entire Soul Cairn... quite a daunting task. 30 I've located all of the notes that Jiub lost when he arrived in the Soul Cairn. I should return them to him when I get the chance. 200 Finishes quest I've returned all of Jiub's lost notes to the poor soul. He presented me with an an [sic] amulet and a pristine copy of his first volume in appreciation for my efforts. The following empty quest stages were omitted from the table: 0, 10. On the PC, it is possible to use the console to advance through the quest by entering setstage quest stage, where quest is the internal name of the quest, and stage is the number of the stage you wish to complete. It is not possible to un-complete (i.e. go back) quest stages, but it is possible to clear all stages of the quest using resetquest quest, where quest is the internal name of the quest. This page was last modified on 19 April 2019, at 03:19.